The 4ft x 2ft 6in wooden trestle table is an example of one of the more unique table sizes at Ningbo. 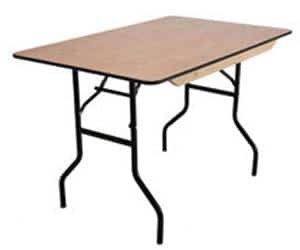 Strong, sturdy and versatile, these wooden tables are ideal for catering events at a wide range of venues. Call us now for more information.